Even though we live on opposite sides of the globe, my friend Anna and I have many things in common: We went to school together; we both made our dancing debuts as bears in the same ballet concert; and we were both members of the yellow school sports team that always lost everything. More recently we were pregnant together and gave birth to our youngest children (both boys!) only four weeks apart. Yip, we've come a long way. But perhaps two of my personal favourite things that we have in common, are a) our love for parkrun (and running in general) and b) the fact that we're both crazy competitive. Yip, being in that losing yellow team was really hard on both of us, ha! Of course it was only a matter of time then before we started chasing each other's parkrun PBs. And also each other's parkrun stroller PBs (because every running mom has a PB-PB and a stroller PB) - Anna in the UK and me down here in South Africa. And we just can't stop. Me and Miss K at a recent Naval Hill parkrun in Bloemfontein. Winter down here. Even though Anna and Baby L started doing parkrun with their "buggy" way later than me and K (Anna was busy training for a half-marathon and therefore did her long runs alone on Saturday mornings), they're currently in the lead as far as the stroller parkrun PBs go. Try as we may, K and I (okay, more me than K) just cannot seem to beat their 28:34 - I've literally left my lungs out on the Naval Hill parkrun course trying. Perhaps I need to find an easier parkrun...? 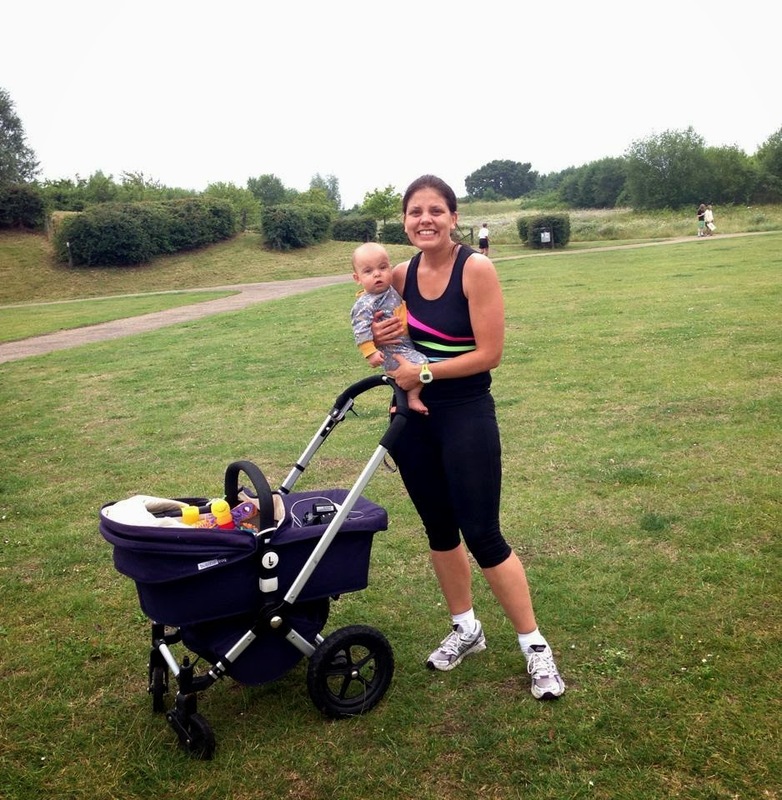 Anna and Baby L at a recent UK parkrun - the reigning parkrun stroller PB champs. Summer up there. The solo parkrun PB (for now) still belongs to yours truly, though, and only just. 26:39, I'd better bring you down. Soon. So here's to many more virtual parkrun PB battles. 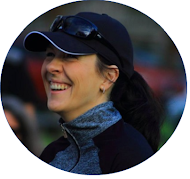 Thanks, Anna and L - you're the best parkrun buddies ever! I love it too, Lisa - just wish we could see each other a lot more often! You mommas are amazing!!! I see moms pushing their strollers out there on my runs and especially on the days I'm struggling to run without anything I always think "How do they do it!?" I bet this is really going to make you strong for that 10k pr you're chasing!! :) Great job to you both! Thanks, Hailey! I'm kind of counting on it to make me strong (shhh), because right now, with all the moving chaos, time (and energy!) for frequent runs is a bit scarce...! Wow! you ladies still show me flames with your buggies Oh my word.